Wanted to love it, but this is not my kind of romance. Not even for a YA romance. 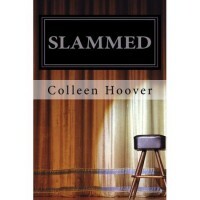 SLAMMED was angsty teenage love story with a heart wrenching sub-plot, but the heroine made it a very disappointing read. I expected a more mature minded heroine, not an overly emotional girl who thinks a mad boy crush after one date is the 'real thing'. The whole high school giggly student bit was a turn off for me. I liked Will a lot, and thought his maturity and love for poetry was well portrayed, but I didn't get the connection with Layken. She made dumb choices, said dumb comments, put him at risk, and made everything be about her. Personally, I thought the author did a great job of developing a typical 18 y/o girl, but it only emphasized her lack of maturity as a lead heroine. This would have worked for me in a more adult setting, but the the teenage angst was over done. At times she was a drama queen only focused on herself, and she had no concept of how others felt. Then other times shes a silly giggly high schooler. Either way, I didn't buy her as a convincing heroine. The subplot was very good and emotional, but it was great wallpaper only. The romance needs to stand on its own, not be carried by a secondary storyline. SLAMMED is a teenage girl fantasy romance story, so it doesn't surprise me at how popular it is. But I'd prefer to read about more mature minded couples falling in love, so this one didn't cut it for me.